The demand for additional data storage is growing too fast for traditional storage options to continue to be an affordable solution. Continuing down this path means you'll be forced to increase your budget dramatically in order to keep up with your data needs. 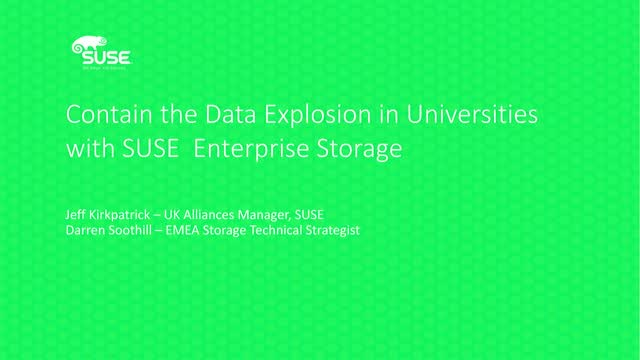 However, SUSE’s intelligent software-defined storage solution, powered by Ceph technology, enables academic facilities to transform their storage infrastructure and reduce costs while providing unlimited scalability.